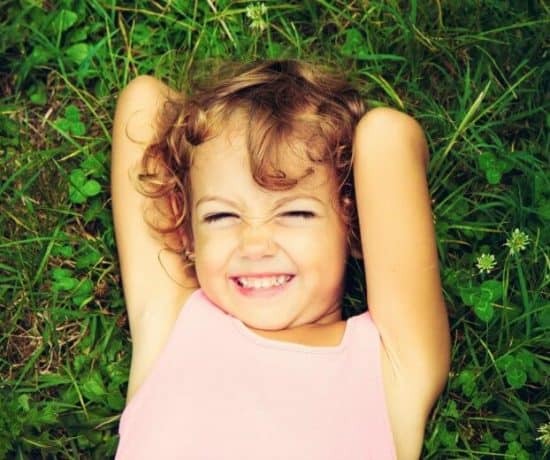 When your child is a baby, toddler, and preschooler there are so many natural milestones. 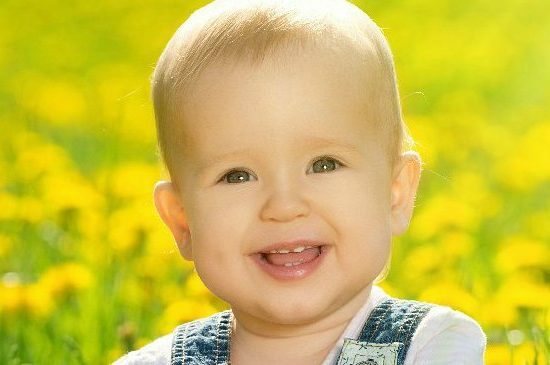 First smile, first words, first steps, first birthday, first preschool class, first friend and so on. You take those pictures on the first day of school and are shocked at how much they have grown over the last 9 months when you hold them side by side with the last day of school. Besides those first and last days of school pictures (which I love! ), I want to capture the growth and development my son makes over the years in a way that will help me remember the little person he was when he has grown up into the young man he’ll be. Is your child older? Don’t worry it’s never too late to start any of these “milestone” memories below. Remembering your child at younger stages and knowing who they are now is surreal. I remember my son’s pudgy baby stage, his fat thighs, baby rolls, and belly laugh — but it’s almost hard to think about who he was then, as a younger version of himself while also knowing who he is today. Some of my favorite memories are the things that have stayed the same over the years — things about him that have grown, but that I saw the seeds of even in his infancy. Like his laugh and his bubbling over excitement. His sensitivity and careful observation of the world around him. I want to try to capture the essence of his personality, his heart, and the qualities that make him, well him, as he grows and develops over the years. 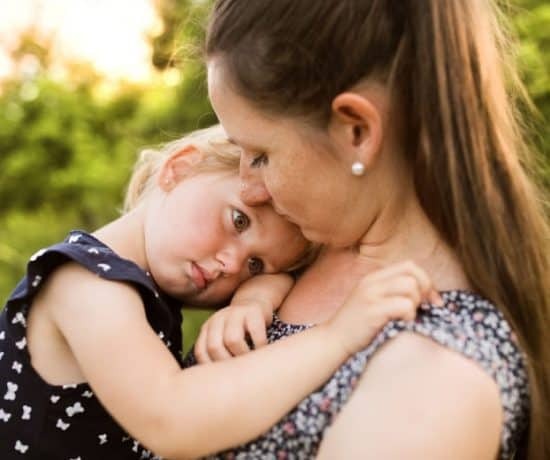 Physical growth and development happen more slowly over the elementary and middle school years until your child hits puberty and then a big growth spurt occurs. 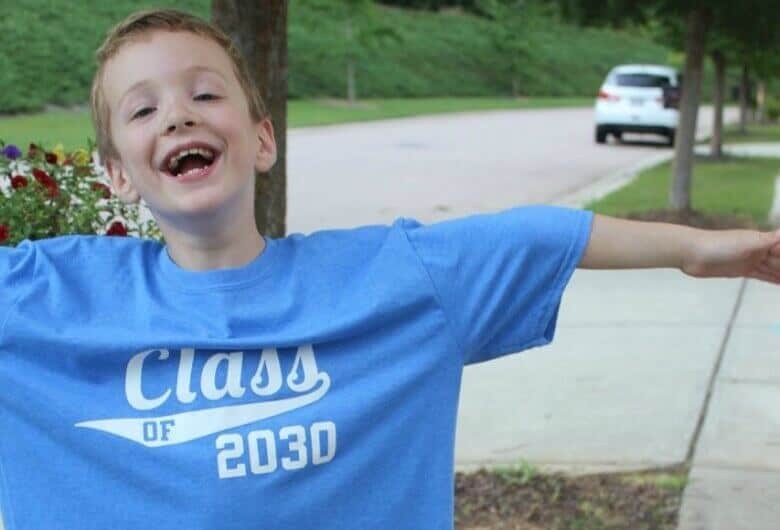 Purchase or make a shirt with your child’s graduation year on it in the size you think they will be when they are 18 or 19-years-old. 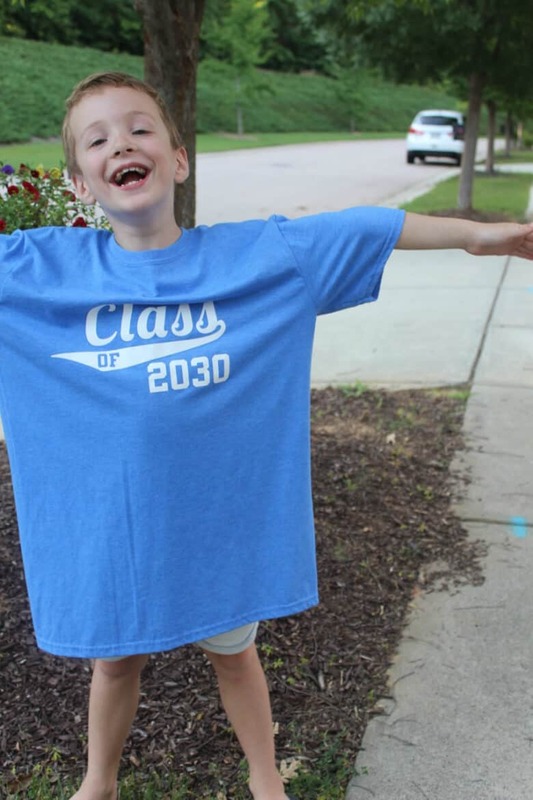 Take a picture of your child wearing the shirt on the last day of school (or on the first day of school), each year, and when they graduate, the shirt that was down to their knees will suddenly fit perfectly. I love this as an addition to the first and last day of school pictures. It’s sentimental and fun, and the largeness of the shirt will help capture your child’s personality in the photos as well. In Spotify, Amazon music, or whatever music player you use, start a playlist labeled with your child’s name. Every time your child loves a song, add it to that playlist. Just the very favorite ones. Even if you only add one favorite song a year, when your child is graduates they will have a playlist of at least 13 songs! My son’s playlist is pretty eclectic at age 7. Pharrell Williams, Happy and Justin Timberlake’s Can’t Stop the Feeling are by far the favorites, but Wagon Wheel by O.C.M.S. and Send my Love, by Adele also make the list. The songs and music our kids love is an insight into their world and their personality at each stage. It will be fun to see how their tastes change and stay the same over the years. Can’t you just imagine playing this list at your child’s high school graduation party? Maybe adding it to a video with photos through the years? *Cue tears now. 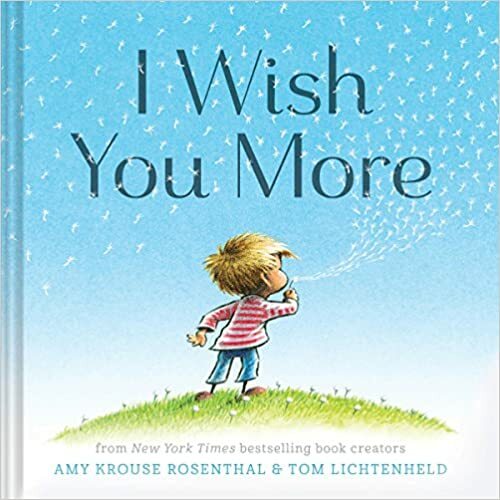 What is your child’s favorite book? Color? Toy? Food? What do they most look forward too? How do they write their name? What does their family-portrait look like? I’ve created a general printable with questions about favorites and some personality-based questions. I’ve also included a place for them to write their name and draw a picture of their family. Let your child be as creative as they want to be! This can be an activity you do every year close to your child’s birthday or at the end of the school year. Once your child has filled out the paper, get out your phone and ask them to tell you about their answers while you take a video of them talking about all of their favorite things and who they are. Get your free printable here!!! 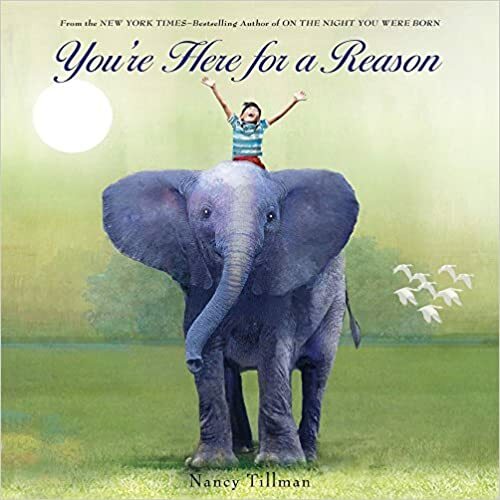 I love this sweet idea I got from a friend a few years ago: purchase a book with a meaningful message when your child is in Kindergarten and save it for your child’s graduation. Every year secretly ask your child’s teacher to write a special message on the inside of the book. 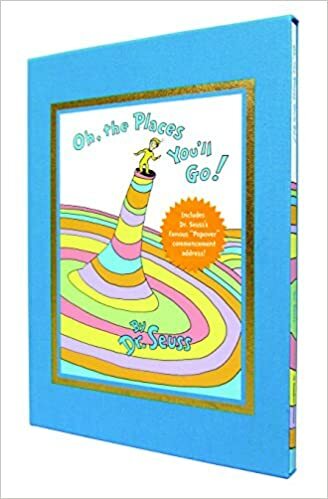 I like the Oh the Places You’ll Go!, Hardcover Deluxe version which comes with a hardcover case. That way I can throw it in my son’s backpack every year to send to his teacher to sign without worrying about the cover getting damaged. There is also a graduation keepsake edition that has many extra spots for writing notes or memories. 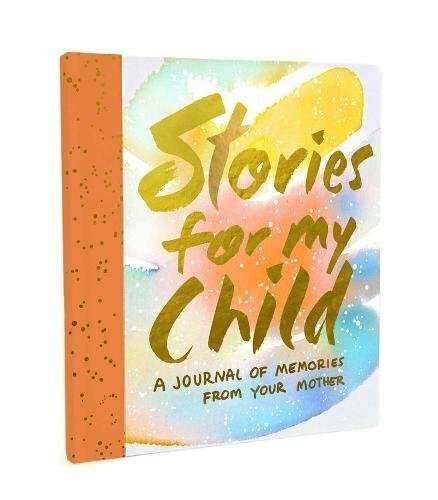 See more ideas for keepsake books below. 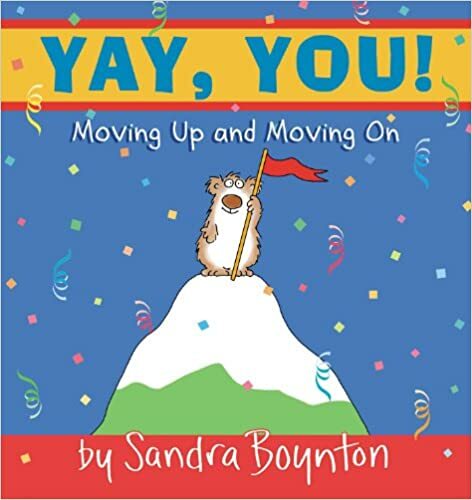 What an amazing graduation gift — the journey of your child through their school years as seen through the eyes of their teachers. 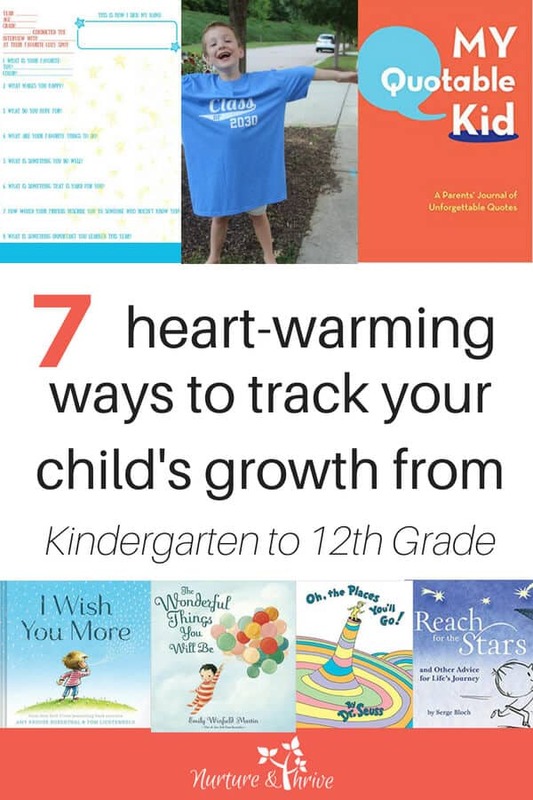 When I heard of the idea for the graduation keepsake book my husband and I went to the bookstore over lunch one day and looked at the display of “graduation keepsake” books. We couldn’t decide! I ended up buying two. When we re-read them, we realized one made more sense to be from teachers and the other made more sense coming from us. We bought, I Wish You More, to be from us. 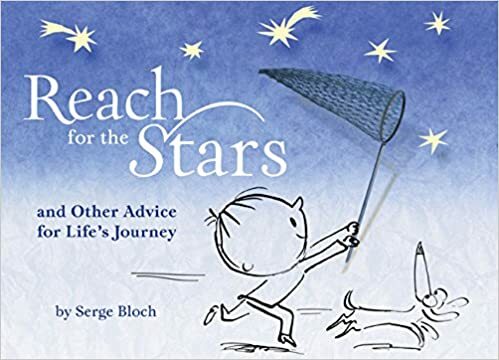 At the end of the school year, which is also the same month as our son’s birthday, we will write a message in the pages of this book. 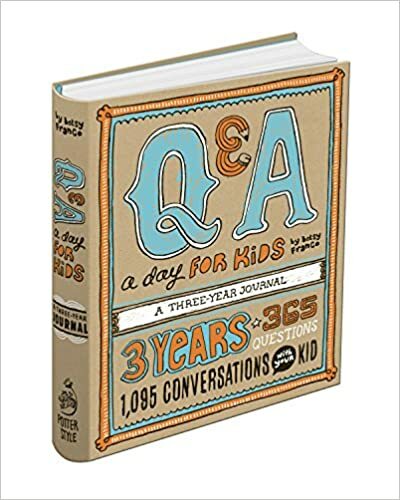 You can write about funny things you remember from the year, things you love about your child and funny personality quirks. This will be such a meaningful birthday or graduation gift in 12th grade. In some ways, it’s easier to track growth and development in the toddler and preschool years because you have clear-cut milestones to follow. As kids grow there are less natural prompts, but there are still very funny or sweet moments you’ll always want to remember. I use the book, My Quotable Kid, as my external prompt. 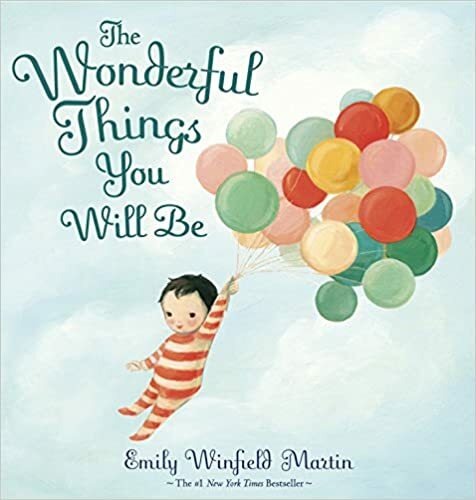 It’s a cute book with prompts for quotes from your kid and recording Who, When, Age, and Where. I find myself writing down funny stories and funny things that happened as well as quotes. Whenever I find myself telling my Dad a story about something my son did, I’ll think to myself, “I should write that down,” and now that I have a dedicated place to do that — I actually do write it down! And I think it’s something we will pull out in the future and really laugh about. It’s fun bite-sized memories and not overwhelming at all. I find memory-journaling more overwhelming and I’m not sure when we would ever go back and read it. 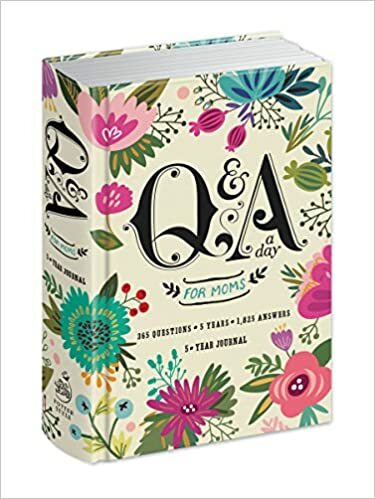 I have done some of the line-a-day journals and I am interested in some of the guided journals and letters, like the ones listed here. 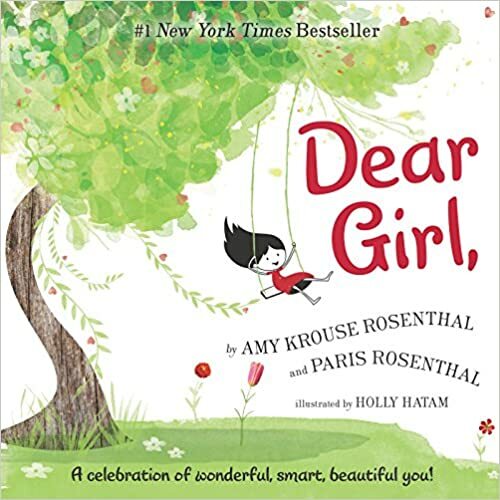 Many of these also have versions for grandparents too — like the My quotable GrandKid and Letters to My Grandchild. 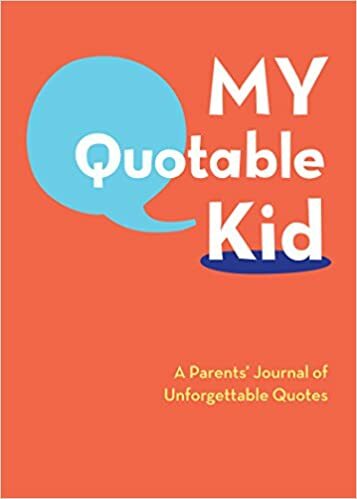 My Quotable Kid: A Parents’ Journal of Unforgettable Quotes Stories for My Child (Guided Journal): A Mother’s Memory Journal Q&A a Day for Moms: A 5-Year Journal Q&A a Day for Kids: A Three-Year Journal Letters to My Daughter: Write Now. Read Later. Treasure Forever. 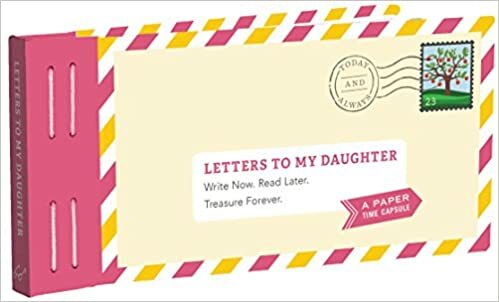 Letters to My Son: Write Now. Read Later. Treasure Forever. 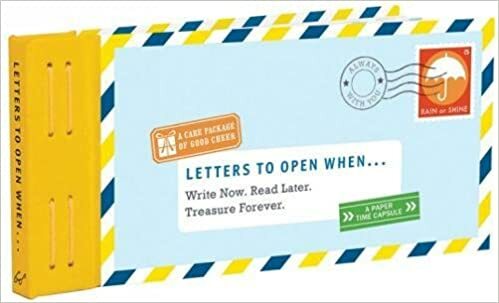 Letters to Open When…: Write Now. Read Later. Treasure Forever. This one came about accidentally for us. Every year we get a live Christmas tree. It’s a whole tradition — the choosing, the hot chocolate or cider, the tieing it to the top of the car and my husband and son always carry it into the house while I take pictures. 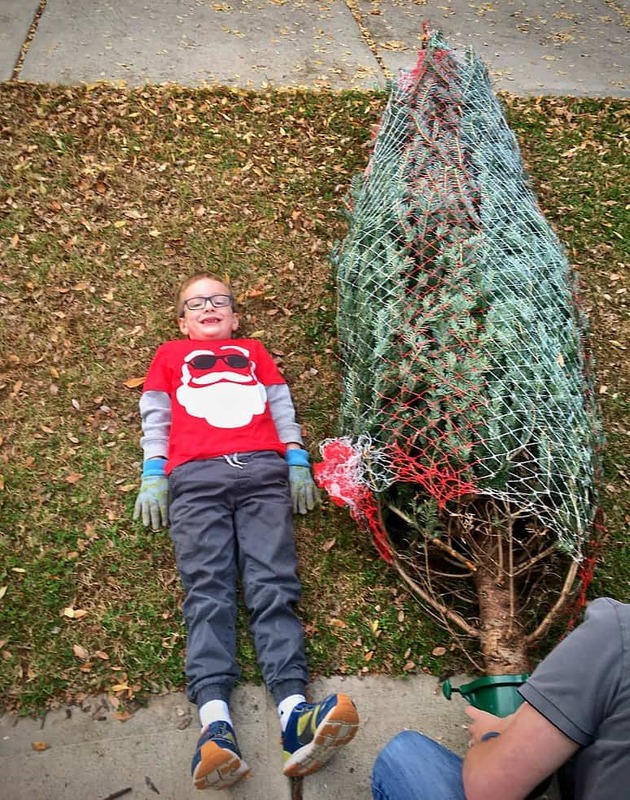 Last year my husband laid the tree on our front lawn for a minute and my son laid down next to it. I snapped a photo. I LOVE that photo. I’m going to take the same one every year. We generally get about the same size tree because we put it in the same spot — but it doesn’t have to be perfect (and next year, I’ll try to get one less blurry!) But I will love seeing how he grows compared to that tree. You could do this with any kind of family tradition you do every year. Do you go to the beach every year and is there a pier there? Take a picture at that spot by the pier each year and see how your kids grow! Or take a picture by your mantle on their birthday each year. For all of my friends in Sweden (my husband is from Sweden), I think it would be beautiful to take your child’s picture next to the midsummer pole each year.